Robin Sylvan combines colorful firsthand accounts, extensive interviews with ravers, and cutting edge scholarly analysis to paint a compelling portrait of global rave culture as an important new religious and spiritual phenomenon that also serves as a template for mapping the future evolution of new forms of religion and spirituality in the twenty-first century. "Millions of people on every continent of planet Earth, regularly coming together in ecstatic trance-dance celebrations held and energized by pulsing electronic beats, are having the deepest spiritual experience of their lives. 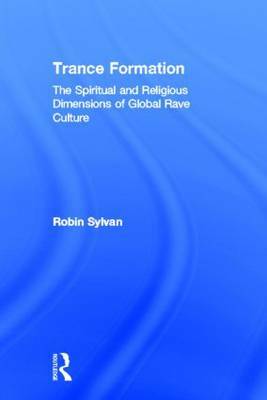 In this thoroughly fascinating study, religious scholar Robin Sylvan makes a convincing case for regarding the global rave culture as an authentic expression of a unifying spiritual vision that integrates across all languages, religions and nationalities. Reading this book, as well as going to a rave, will leave you inspired and hopeful for our sadly fractured world."